There are accountants, and there are attorneys. Both are available to help you in your hour of need, but the term "attorney" has a more ominous ring to it because it implies that you're not just fighting numbers—you're fighting the law. Tax attorneys are lawyers who specialize in the complex and technical field of tax law. They're best for handling complex, technical and legal issues associated with your tax situation. A tax attorney can step in after you have a problem, but consulting with one in advance can also help you avoid problems. You anticipate having a taxable estate when you die. As of 2018, this means that you expect the total value of your estate will exceed $5.6 million, or $11.2 million if you're married, although this threshold tends to increase annually. Your heirs would then have to pay an estate tax of up to 40 percent of the balance over these amounts as of 2018. A tax lawyer can help you devise estate-planning strategies to help you stay below the exemption threshold and avoid a huge portion of your estate going to taxes. You're starting a business. What type of business entity should you set up? Do you want to incorporate? Can you function as a sole proprietor? Any business setup you choose will have tax ramifications. Legal counsel can advise you about the structure and tax treatment of your company, including some non-tax issues you might not otherwise have considered. You engage in international business, and you need help with contracts, tax treatment, and other legal matters. You plan to bring a suit against the IRS, you're under criminal investigation by the IRS, or you want to seek an independent review of your case before the U.S. Tax Court. In the latter cases, you'll want someone who is familiar with a courtroom. 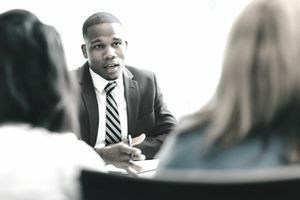 Although certain non-attorneys can represent clients in court, it will likely be best to be represented by someone who is well versed in the law. This is especially true if you've committed tax fraud, such as claiming deductions or credits to which you weren't actually entitled. Your relationship with your attorney and anything you say to him or confide in him is typically privileged. This means he's under no legal obligation or duty to divulge it to the court. This is not always true of accountants. Tax attorneys must have a Juris Doctor degree, commonly referred to as a J.D. They must be admitted to the state bar. However, these are just the minimum requirements for practicing any type of law. Additionally, tax attorneys should have advanced training in tax law. Most will have a master of laws (LL.M.) degree in taxation, referred to as an LL.M. Some tax attorneys also have a background in accounting, although they don't involve themselves with preparing tax returns for the most part. Their expertise is more focused on the legal implications of tax situations, not saving you as many tax dollars as possible. Nonetheless, if you're facing a complex accounting--as well as a legal--matter, you might want to look for an attorney who is also a certified public accountant so you can cover both bases. They're rare, and they're often expensive, but they're out there. Is the attorney admitted to the state bar? What does the attorney specialize in? How much does the attorney charge? If the attorney can't personally help you, can you be referred to another tax attorney who may be more familiar with your type of problem? Tax clinics provide free or low-cost legal assistance to low-income taxpayers throughout the United States. Tax clinics are funded in part by grants from the Taxpayer Advocate Service, which is an independent organization within the IRS. You can find a complete list of low-income tax clinics on the Taxpayer Advocate Service website.